Located in Old Goa, Se Cathedral is one of the oldest religious buildings in Goa and among Asia's largest churches. It was constructed during sixteenth century by the Portuguese, to commemorate their victory over a Muslim army. It was commissioned by Governor George Cabral in the year 1552. Its construction began in 1562 and was completed in the early seventeenth century. It had two towers originally, but one of them collapsed in late eighteenth century. This cathedral has been built in the Portuguese-Manueline style of architecture with Corinthian interiors and Tuscan exteriors. It houses a large bell that produces a rich tone. Main altar in this church is dedicated to Catherine of Alexandria, and has many old paintings on its either side. The cathedral also has a baptismal font, which was used by the patron saint of Goa, Saint Francis Xavier, to baptise the Goans who had converted to Christianity. 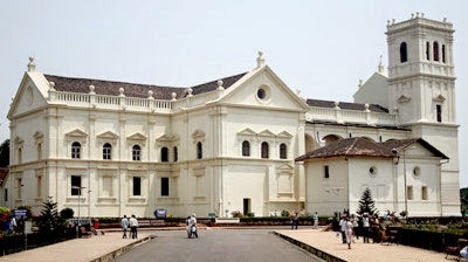 Tourists can visit this cathedral during their vacation in Goa to explore its fantastic architecture and an interesting history. A stay in one of the best hotels in Goa would offer them greater convenience in getting to this church. They can also make a trip to many other interesting spots in Goa during their stay. Whenever one thinks of Goa, it usually flashes in the mind as an ideal place for relaxation. However, there are many activities that adventure seekers can enjoy during their time spent in this world-famous Indian state. There is so much to choose from, that the list of adventurous activities to be enjoyed in the region almost seems endless. Scuba diving is one such activity, which tourists can enjoy at places like Grand Island. They can take a day trip to these locations, while staying at any of the Colva beach hotels having all the latest facilities. Today, opportunities for water-sports exist at most of the beaches in this exotic travel destination. It gives another good reason for tourists to spend their vacation in Goa. Fishing trips operated by licensed sports or commercial fishermen at certain places in the state can offer travellers the chance to experience the thrill of catching some big fishes. The period between October and December is the best time to enjoy trekking and camping in Goa at places that are specially recommended for hiking and trekking. Latest craze that draws plenty of adventure travellers to Goa is go-karting. Panaji-Margao highway and Arpora are the best places to enjoy this action-packed motor-sport. Goa, known for best 'Sand, Sun, Sea and Surf', is surely a paradise for both the freaky and the calm. This place really strings up the chords of all that is soulful yet frolic. Goa is mainly divided into two parts, the north and the south filled with enriching common and natural heritage sites, some of world's best beaches, delicious delicacies, window opening to amazing views, best beach hotels and resort and all hot. 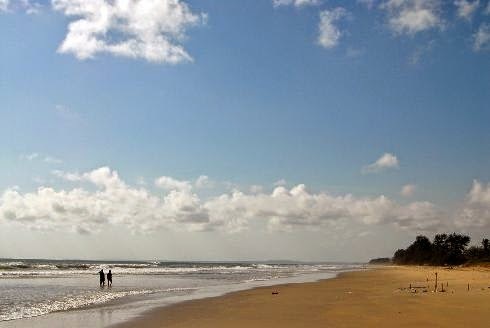 South Goa serves as a massage center of souls with its clean and peaceful beaches away from the much crowded north Goa. Most tourists visiting south Goa seek a place to relax, have coconut water and simply cherish in the beauty of nature. The south part of Goa is for the reclusive tourists and there are limited budget hotels and resorts that really deliver you an experience. One of the nest-like bases here is United-21 Emerald budget hotel, a modern retreat, located very near to the Varca beach, a place where the dolphins pose. This boutique-king hotel is where the fun begins, providing all-suites sheltering and contemporary amenities that make a warm, comfortable and intimate setting, opening doors to heart-throbbing journeys of south Goa. Quench your taste buds by exploring bold flavors of Chutzpaha, an in-house restaurant, serving eclectic range of dishes as desired. Another restaurant, The Peacock serves delightful Indian cuisine ranging from mild and aromatic to extremely bold and fiery. All this under one-roof so that you don't miss on anything that is premium. Baccarat Rose, the flamboyant bar offering premium brands and spirited cocktails, is the ultimate place to grab a drink and just chill. A healthy approach with a perfect mix of varied pleasures at the Rogues Gallery allows a unique recreational experience. United-21 Emerald is one of the exotic budget hotels and an ideal family vacation spot in Goa. It is designed to pamper you in an atmosphere both intimate and indulgent and offers style, with the informality of a home. © Copyright 2013. United-21 Emerald (Best viewed in 1024 x 768 resolution).